One of the biggest adjustment someone new to a keto diet has to go through is cutting some fruits and desserts from their daily keto meal plan. 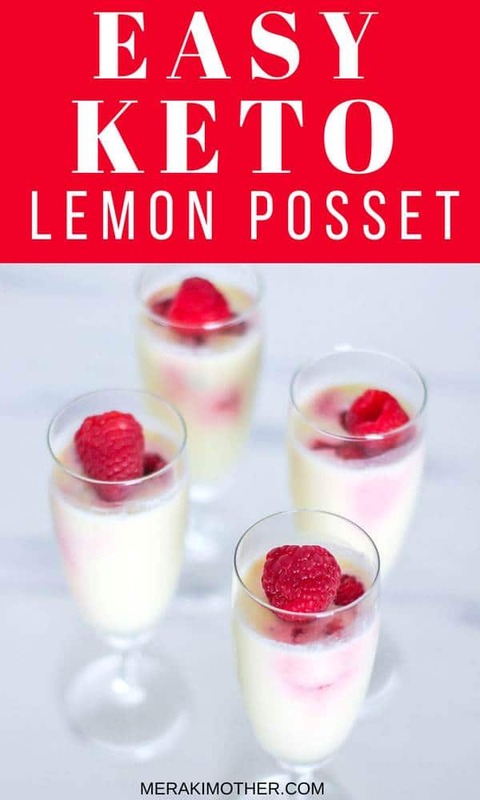 Your keto diet needs to be restrict but you can adjust traditional desserts and snacks to make a more keto friendly version, just like we have done here with this Lemon Posset recipe. And if you are wondering if it is ok to use lemon on keto diet, let me explain. Fruits are generally packed with fructose and you must avoid starchy fruits, such as banana, completely on your ketogenic diet. 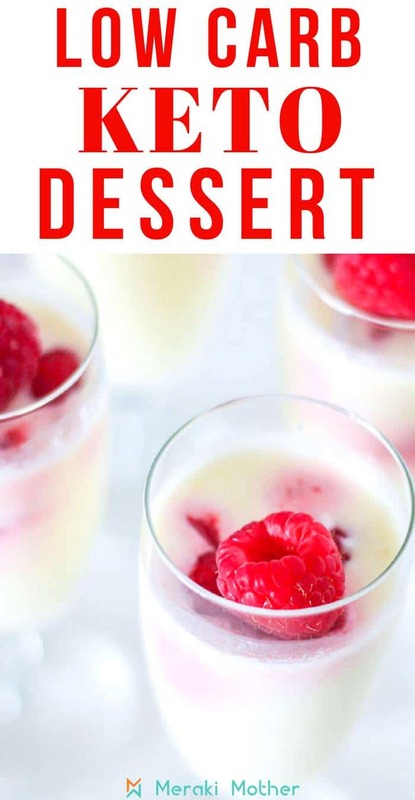 Of the few fruits that you can consume on a keto diet lemon is one of them (raspberries too, you will noticed that I used it to add some color to the dessert). However it is very important that you watch your net carbs if you want to stay in ketosis. According to Ruled Me half a cup of raspberries contain approx. 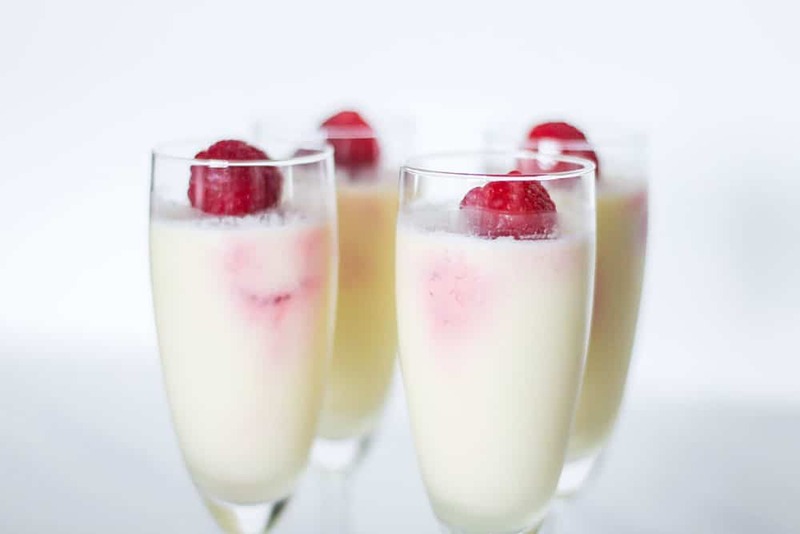 3.5g net carbs and the juice of one lemon about 4g, so you can indulge in this dessert considering that you have kept your daily carbs intake restricted throughout the day. Remember to find a healthy balance. 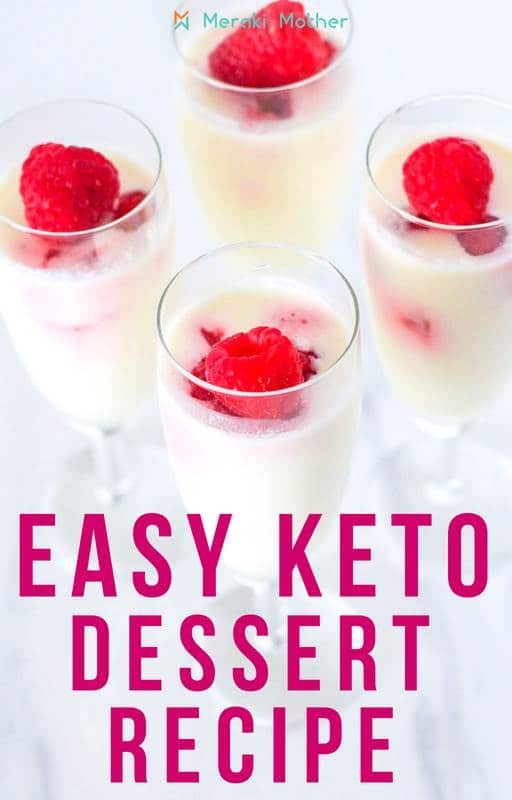 Looking for the best keto recipe cookbooks? Check out our list with the best keto books here. 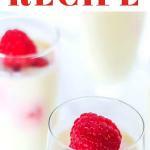 1.1 What Is A Lemon Posset? 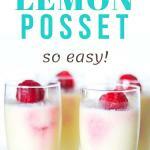 What Is A Lemon Posset? But you might be wondering; what is a lemon posset? 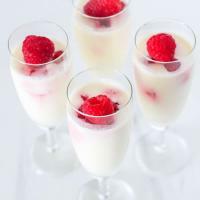 A Lemon Posset is a rich British dessert usually made with cream, sugar and lime or lemon juice. 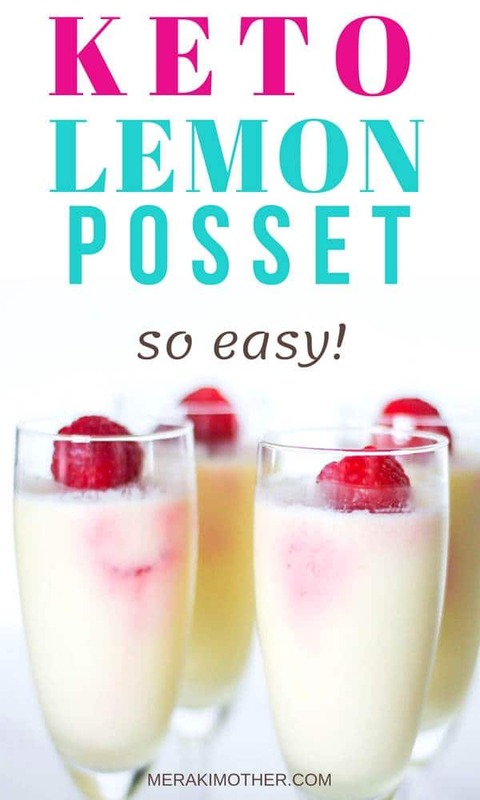 In recent days lemon posset is a cold set dessert similar to a syllabub but the story of the posset goes back a few centuries when it used to be served as a creamy warm drink, the posset. The traditional recipe sets wonderfully acquiring a custard consistency easily due to the reactions between the acid in the lemon and the protein (casein) in the cream. 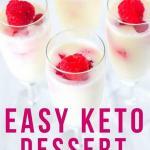 For the keto version we noticed that we needed a little longer in the fridge to get similar consistency, but the end result was wonderful too and my family could not tell the difference between the two recipes. The beauty of this dessert is that it is so simple to make yet it looks and tastes so delicious that you are sure going to WOW your friends with this recipe. 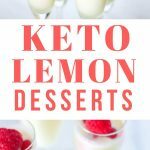 So read o to learn how to make this keto lemon dessert recipe. Pour the cream on a saucepan and bring it to simmer at low heat. Add the sweetener slowly and test the sweetness before the cream boils (every sweetener is different so test how much you need to use of your sweetener on this recipe). Let it boil for a couple of minutes then turn the heat off. With a hand juicer, squeeze the juice out of 1 lemon and add to mixture.Depending of your preference this might not be enough to give the lemon taste desired. If so squeeze another lemon and add slowly until it reaches the desired taste. Once you add the lemon juice you will see that the mixture will immediately starts thickening, it will thicken more once it cools down in the fridge. 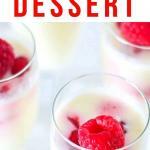 Pour the lemon posset into 4 small dessert serving dishes or glasses. Add 3 raspberries to each glass. 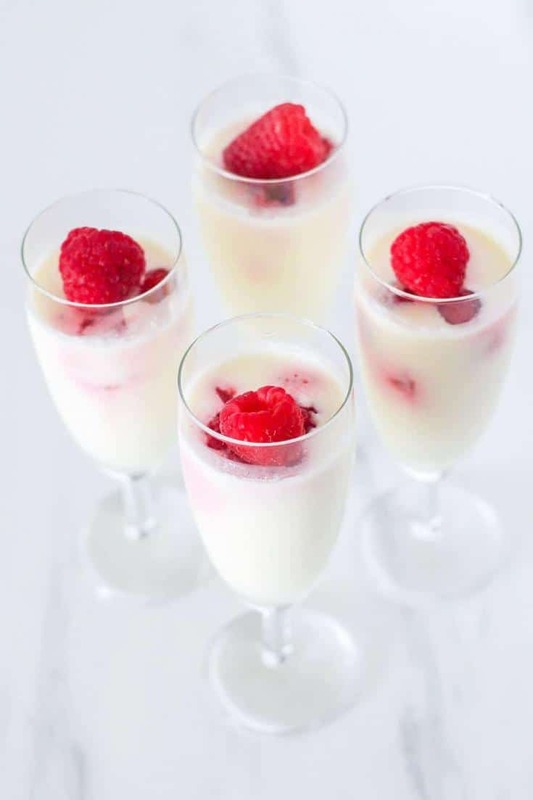 In time the raspberry juice will mix with the lemon posset giving a beautiful color mix at the top. Let is cool down for 10 minutes at room temperature then place in the fridge to set for at least 3 hours.